Fate (of the work-related variety) brings me to Austin. 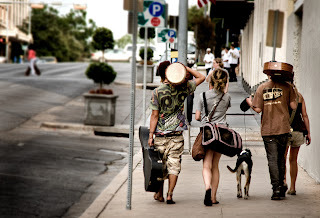 The street scene above (not my photo) typifies the area around the downtown hotel where I'm staying. 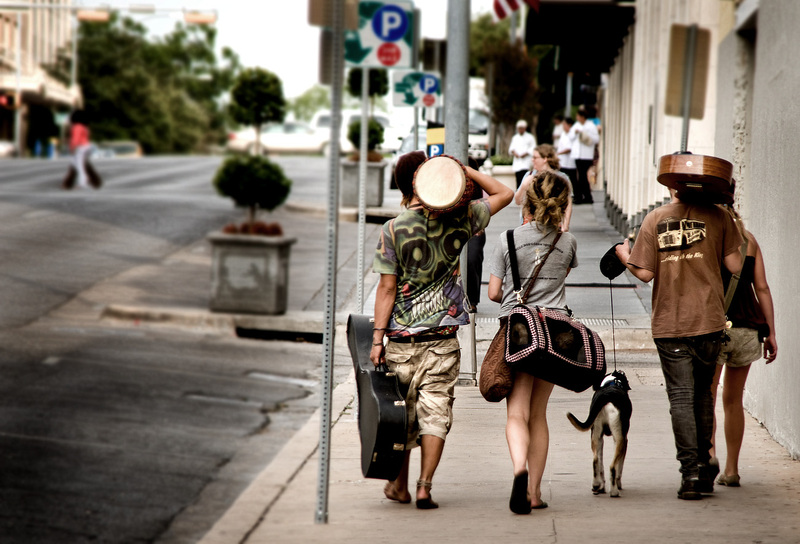 Rumored to be the Berkeley of Texas, Austin is certainly steeped in a live-music scene. At dinner, I met a former colleague who moved here and set up shop. He told me it's easier to do so than in the Bay Area. The city is warmer (76 degrees when I arrived) than the Berkeley I left behind. A river runs through it (the Colorado, the Texas one that empties out in the Gulf). The skyline is messed up by some egregious tall buildings, garishly lit up at night (not unlike this hotel, aiming for trendy but landing on cheesy; nice room, though). Speaking of music, drumbeats reach my ears. Some rocker neighbor? A bit of that at home, too.